Having difficulty finding a niche? How about keyword ideas, running low? Well there is no reason for it! In this training, I am going to be walking you through a process called the "Alphabet Soup Technique". It is a technique that I have been using for many years that has allowed me to uncover unlimited potential in absolutely in niche. I mean ANY niche. I think you are really going to love this training and it is going to allow you to become a POWER player in any niche. If you have any questions or comments about any of the material within the training (or keyword & niche research in general), please leave your comments below. Thanks Kyle! Great video tutorial for beginners like me! Can't wait to play around with keywords research for my future blog posts since its now much easier than ever with google+jaaxy technique! I'll just have to work on my grammar skills since I'm not that confident writing content in English and it's really slowing my progress here in WA. Would you suggest that I focus on local market first before going global? btw, I'm from the Philippines. Appreciate your response Kyle! Your English is quite good, I wouldn't be too concerned about that at all. You are doing great Aldren. If you need a hand with anything at all moving forward or ever want feedback on any of your articles, let us know and we will give you a hand. Great training re: finding the perfect niche! It sounds like once you choose your niche, you can address the keyword ideas that you get from the knitting search you did ie: needles, yarns, etc. to focus your content around staying with the main keyword rather than freezing and wondering what to write next. Is this best? I really love this updated- 2019 Edition of this walkthrough video on the alphabet technique, and I'm glad I clicked on it! The explanation, or the video walkthroughs of this part of the training within the Online Entrepreneur Certification Course and the Affiliate Bootcamp, without disregarding the value of each training course, does differ in ways I can't put my finger on yet. But seeing this video is like having been born again and being able to see what you have already learned with a whole new set of eyes, but with a clearer understanding of what it is that I should be implementing as I continue to build my business. Thanks for your infinite guidance Kyle! It is interesting that googling a word/phrase will generate a lot of ideas from which you can refine your niche phrase or word. I have not done the following yet: If you google a niche word or phrase using the Alphabet Soup technique and then make a choice from the multitude of suggestions or ideas given; and then you google your choice (the word or phrase you chose from the list), you are going to be presented with another long list. At what point will you stop googling? You can keep doing it until you have a huge search entry but really you just want to play around with it to get ideas to then run by Jaaxy and see what the results are. Once you have one that reads properly and has decent results in Jaaxy, stop there and use it. Ok, so I get the concept of using google and jaaxy to find keywords towards a niche. My problem is when it comes to writing content geared towards promoting WA, there is only so much you can write about. I have wrote content reviewing affiliate marketing with emphasis on WA. I have wrote content on making dreams a reality again focusing on promoting WA. Where can I go from here? It's clear what you are promoting but not really clear who you are helping? Once this defined, you then break it down in many categories. There is of shortage in categories in MMO niche. If you haven't already, go through affiliate bootcamp. These are two great articles about establishing your direction and who you are talking to with list of ideas. Choosing Your Direction Target Audiences for Wealthy Affiliate Hope this helps. Awesome, thank you Kim. I am currently going through the affiliate bootcamp and just trying to figure everything out. I will check out the posts you mentioned. Thanks again for the advise. Greatly appreciated. Absolutely phenominal. Just finished watching Phase 2 - Lesson 3 followed by watching the Alphabet Soup Technique......so, so interesting...and I can see just how helpful this is going to be as I move forward. Is it okay to apply this technique to the titles of the menu and sub menu pages as well as apply it to the content of these pages as well? Yeah, it can be for both keywords or niches. There is in essence, unlimited opportunity out there in any niche, and there is an abundance of different directions that you can go in terms of your niche choice. Thanks Triblu. Your explanation has shine some more light on the picture which Kyle so fundamentally painted. This has helped me to get a tighter grip on the subject. Have you complete the certification training? If you follow the training step by step, you should not get 'lost'. I just saw Kyle's video on "Alphabet Soup" and it was very informative. I am having a general problem with "keywords" in a broader sense. your article contain as many of these keywords as possible? Should I make up a paragraph using one or more of these keywords in it? I think my blog will give you some good pointers. I have published several blogs on Keywords if you want to read them as well. How To Use Keywords In Your Website Content Enjoy your day. Even if the best keyword is in your title, that keyword and the rest of the keywords you choose should show up somewhere in the body of your article. Obviously, the more keywords you hit on, the more traffic you will get. I would hesitate to "make up" a paragraph for the sole purpose of putting keywords in it. It may come across as "fluff" to the visitors to your site. i chose sports because of GSW i like that team, my now niche is there basketball wear/gear, i was not into bb before as i am now since watching their games, i don't feel equipped to write a blog or tell why i chose bb gear, any help i will appreciate, don't want to mislead anyone, but need to talk as i know" a little something"
That's a great start. You have something you are passionate about. Writing content is not something come naturally for most people including people here in WA. It takes some times to nurture the skill and all these you'll learn in the training. WA provides a great platform to write blog post if you are not confident to write straight to for your site. People are gaining confidence after writing posts here in WA. You can try that too. OK, I am still missing something. I asked this elsewhere I know, but thought easier to get answers here where hundreds are not trying for your attention. How do I us my keyword? Finding is not the issue! Use is, and if I already know my product (Not that I do at this time!) What does the keyword or me? Thank you again? Think of it this way Les. The keyword is what people are looking for. So your job is to find a answer to what ever it is they are looking for. If they are looking for best running shoes, you write a post titled "Best running shoes" and then write reviews of shoes that have affiliate links in them. That's just an example. If you share your product here and maybe some of your keywords I'm sure the helpful people of WA will help you out in content ideas. People don't be too keen to "steal" other peoples keywords but if you have a really golden one, please think twice before sharing. Hope this helps! Keywords are usually more like keyword phrases consisting of more than one word. However, no matter how many words it's still the same thing. Think of keywords as topics of discussion. The topic of this discussion between you and I is "how do I use my keyword? In fact that's probably a keyword searched in google just like that. Wow, and Wow! Just what I needed to generate ideas. I no longer have to feel stuck. I am getting more hopeful by the day and with each lesson. I know that in time success is at the end of the tunnel if I keep going. Thank You, Thank You. Fantastic tool and tutorial. But how would I then go about making a niche site on something I know nothing about or have no interest in? Is it simply that if I have no interest, I just don't bother with it? I have thought of and found a few areas that I see as good options but either I'm not passionate about the subject or there's no way for me to use it (for example, women's hockey gear.) I appreciate any and all opinions. If it's something you're unfamiliar with or not interested in then it becomes more of a work effort rather than an enjoyable experience. That said, if you wish to pursue it, you will need to do your research and become familiar with the niche. In the end you want to present yourself as an authority so others trust and want your opinions and views. Once you hit that then making affiliate sales will be easier. You shouldn't just copy and paste information...There are copyright issues and the search engines look for unique content so it will hurt your rankings. When I talk about a subject I'm not familiar with I will do some research and then create my post. Some of it will be the same information that others have posted but written in my own words to make it unique. I hope you found some of this helpful. Kevin, it might help if you can find some friends or acquaintances who really like what you are looking at. Some long coffee or tea discussions might inject you with some of the same enthusiasm. No beer though as you might not remember what you talked about! I am trying to do keyword research for WA affiliate boot camp. I am not sure what words to start with. I end up getting a bunch of keywords for the same thing, maybe 10-20 on hosting or 10-20 on building your website. Is it OK to write say 10-20 posts on the same thing only with different keywords? Is that how it works or what? I believe you want to write a post that has multiple keywords in it. If you concentrate on putting them in the headlines you may have more success getting ranked in Google. Writing more than one post is good, however, I would concentrate on a different subject that involves the niche you are writing about. Best of luck! There is a coerce way to do research, and this is definitely the starting point. Then you can advance this research using Jaaxy, which is included for you directly within your membership here to narrow down your ideas and choose your "winning" keywords. Thank you for this video Kyle. Just for clarification, since I am at the associate level, will I get the same results if I type in my niche word in Jaaxy? Should I just do that the long way first "niche" "a" etc then when I have picked a few more layers go to Jaaxy and see how those keywords are going to benefit as an area for my website. All of this is very overwhelming to take in and remember right about now. Thank you. You can take your time, Alisa; I actually just watched this video for the 2nd time. 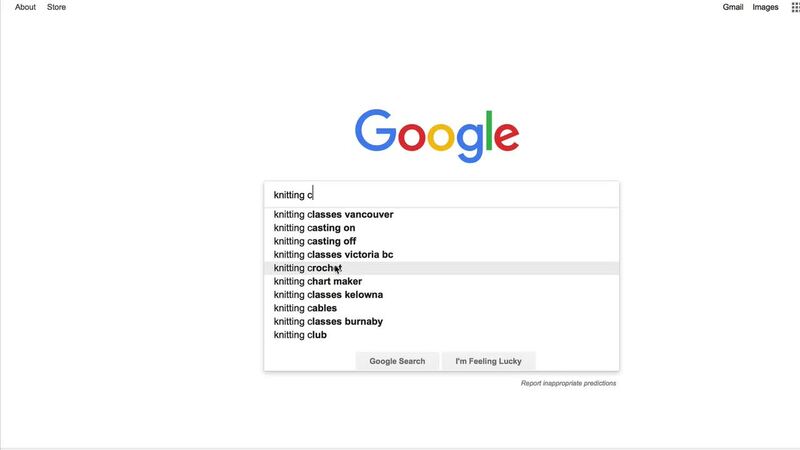 Just as Kyle showed us in the video, if your niche is knitting, type "knitting a" then "knitting b", "knitting c", etc. You can add a suffix either before or after the initial keyword. A long-tailed keyword would be one that could be 3-5 or more word phrase. Jaaxy really makes it so much easier. Let me know if you need additional help, Alisa. OK...I know about the Alphabet Soup Technique...so why have I been racking my brain trying to come up up with keywords on my own! DUH!!! From now on, if I ever get stuck with trying to come up with a keyword, I'll just have a nice hot bowl of alphabet soup! Thank you Kyle! Great video and really helpful. This will make sure I'm always ready to write great content. Sometimes I feel stuck and this will help immensely. I did inbox you regarding a referral that didn't track to my affiliate account here. It would be great to have a response. Thanks. Sure, if you dropped me a PM I will be getting back to you today (versus email). Please PM me if you did initially email as that is the best way to get in touch with me as a Premium member. And yes, this will absolutely give you quick insight into any niche and also allow you to find unlimited keywords in any niche. It is efficient, and HIGHLY effective. I think that a constructive criticism would be, and its not really a criticism..The video could be a bit shorter...as a professional "speaker" for over 15 years, I know a bit about speeches, and as interesting as your videos and training's are most of them are just too long, since you keep repeating and going over the same thing many times...I know the power of repeating, Yes I do. But You could easily shorten most of your videos, at least the ones I watched so far, by 20-30%, and save yourself some time. Well that's my feedback after watching this one and many others...If you ever get back to me, I'd love your feed back. Hey no problem...As a speaker I just look at it from a different angle. My first language is also not English...so imagine that! That's why is said by 20-30%. Certain passages have to be repeated...others not quite so often, especially the intro! I would have missed some points indeed, some people when learning new concepts need to be walked through them. From my experience, you have to build training with the assumption of no knowledge (ie, teach as though I would teach my grandma). If I can take that approach, then I am sure everyone can grasp it. I do aim to keep them as brief as possible, and in some areas I can likely be better, but again I have to make sure I am being the most helpful, to the broadest audience. I think you do know what I am trying to say...actually I am pretty sure you know. The grandpa approach I understand...I also watch certain parts over again...and again, IF I didn't get it the 1st time. Ups still in Asia, so next year Kyle! All the BEST and MERRY CHRISTMAS to you and your family!! No, I get it. But what I am telling you is that this same material could be covered in 15 minutes, or covered in 2 hours. I choose to cover it in just under 30 minutes as I felt that was the best fit to capture all audiences. For some, that is not going to be enough, for some that is going to be too much, but for the masses it will be just right. Video play speed will certainly help you if you want to speed things up and cut the training in half and of course, through time and I am always looking for ways to explain processes in a more efficient manner. And sure, we can chat about it over a coffee one day! Have a Merry Christmas! thanks for your reply, which makes sense. Considering the array of the audience you guys have here...form the 18 year old young and hungry guy, who wants to get rich quickly, to the 70 year old retired person who is looking for something to do...you have to choose the middle way. I do understand that! I truly do, believe me. Having that coffee will be fun...some day,as I am moving again. Have a GREAT CHRISTMAS Kyle! Enjoy every moment with your family and enjoy the snow!! All the best for you and Carson for 2018!! As I will finish, or at least try to finish my 2 websites next year I will provide you with much more detail info on how your training's can become better. That will be MY contribution for WA. Yeah, the Jaaxy ABC platform takes things to an entirely new level in terms of efficiency. The goal here is to make sure nobody is left without a niche or even in the very slightest, wondering if there is "more opportunity" in their niche. It is apparent as you do research why there are 100's of MILLIONS of searches done daily that have ZERO competition and Google is forced to give results of something that is somewhat or closely relevant, but not precisely. Thank you Kyle. A brilliant way to come up with ideas, keywords and niches. I can never run out of ideas to write about with this. Sometimes I don't realize how rich we are content wise. When I hear the saying that money doesn't grow on trees, with the alphabet soup technique, it seems to me that money does grow on trees! Ideas grow on the alphabet soup trees and they become endless if you try this technique out in any niche. Look what I did in a few minutes within the knitting niche using only a few keywords that I found. I came up with 1,000's of keywords. If I spent another 10-20 minutes, I would have literally had enough keywords to last me a lifetime within that niche. So true Kyle. See you at Jay's on Friday for some more exciting nuggets! This was a great refresher tutorial for me. It is astounding how quickly one can come up with an article list, to last for weeks in just a few minutes' time. My campaigns will be brought back to life with the Alphabet Soup method. I had to step away for some time. The tremendous work on reorganization has fallen into place just yesterday! These very important details had to be done. I will be moving to my new place on January 5, my final goal in this effort. It comes with office space, better equipment and no clutter, new, very open, bright and much bigger with about one-tenth of what I once owned. I have removed the distraction and disruptions that caused discord in my work. I am now far better suited for a home business and ready to go! 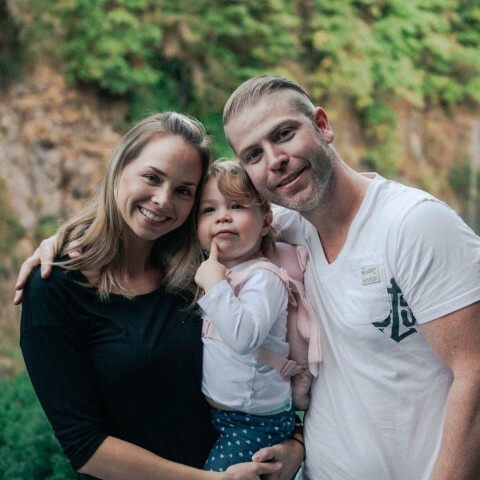 Sounds like you have been really busy Daniel and sometimes It is good to have a completely reorganization of your life, business and overall processes. The alphabet soup technique is something that has only continue to be more and more beneficial as the applications for it continue to increase. You can utilize it to find niches, keywords, content ideas, and to initiate significant research campaigns. The prime reason I sidestepped is exactly for the benefit of my business and in the long run, you will see results from me. During this entire period, except for a single month after all this inactivity on my campaigns, I've had unbroken income from here, little as it has been, but this definitely shows the power of passive income! Definitely a lot of power in passive income and now that you have experienced it, you realize that this can be scaled to something really substantial regardless of the direction that you head with your niche. You're one of the most resilient guys I have met here over the years Daniel, keep at it and keep doing your thing. You are on the verge of much bigger things and it sounds like you have a gained confidence in yourself and your abilities moving forward which is wonderful! Wishing you an amazing 2018 ahead! It's been harrowing at times, both inside and outside of Wealthy Affiliate, but I'm still here. Wishing you a wonderful year ahead! Thanks Kyle, great training as always. But, now I'm a bit worried about my website being to much of a broad niche as it is about health and fitness. But when I write my posts they obviously go into much smaller niches like you are doing in the training. Do I actually have to have my whole website based around a much smaller niche? I don't really want to do that as I want to cover topics about all things to do with health and fitness. You would be best to build a new website that focuses on a specialized niche within that wide, huge niche. The competition within "health and fitness" is so large you will be at a major disadvantage in trying to get traffic. Health and fitness is not in niche, it is a category with 1,000's of niches within it. Magazines with hundreds of writers do not try to tackle this entire category, even they go a little bit more niche. I've deleted my previous comment because I've finally figured out how to do this. It's not working for me when I copy what you've done in the video. BUT when I type anything into the address bar and hit Enter a new box opens below the address bar and I can use that for Instant Search. Strange that you are unable to use this. I have tested in all browsers and I can't find a way to not see this. It also works in my browser as well. I wonder if my geographical location has anything to do with it.